WHAT CAUSED THE "DARKNESS AT NOON" IN 1780? "The 19th of May, 1780, was a remarkable dark day. Candles were lighted in many houses; the birds were silent and disappeared, and the fowls retired to roost. ... A very general opinion prevailed, that the Day of Judgment was at hand,” Timothy Dwight wrote. The end was coming and God had lowered his hand over the people of New England for their wickedness. Or at least that’s what a lot of religious zealots believed in the spring of 1780. The American colonies were embroiled in a war with England, murder was rampant and rebellion was in the air. It seemed that the people of America were doomed. But what really happened that day? We don’t know for sure, even well over two centuries later. One thing that we know for sure, though, it was not the end of the world. In the days leading up to May 19, 1780, residents in New England had were feeling relieved that winter was finally over. Spring had brought mild temperatures, which were wonderful after a particularly hard, cold winter – “the most hard difficult winter that was ever known by any person living.” There was deep snow and severe cold with widespread suffering from all points north to Maine, southeast to Georgia, west to Detroit and south to New Orleans. The harbors in Boston and New York had frozen over solid. Travel ceased, social interaction was non-existent and shipping was halted. When the land began to finally thaw in early March, many bridges were damaged by the ice flows, but people were so happy to have warmer weather that they hardly cared. In Connecticut, the legislature adjourned after looking out of the chamber windows and then hurried home to their families. The members of the Council of Safety lobbied Senator Abraham Davenport to do the same, as the “Day of Judgment” may very well be at hand, but he reportedly (and very wittily) said, “The day of judgment is either approaching, or it is not. If it is not, there is no cause of an adjournment: if it is, I choose to be found doing my duty. I wish therefore that candles may be brought.” Lawyer William Pynchon of Salem, Massachusetts recorded that most people scurried about with “melancholy and fear.” -- everyone that is, except for the sailors who “went hallooing and frolicking throughout the streets” and shouted lewd remarks at women as they drunkenly tried to entice them to remove their clothing. Religious zealots clutched their Bibles, sure that doom was coming. A number of biblical passages referred to sudden darkness and attributed it to Divine Retribution and the Lord’s Day of Judgment. Most then, thought that the Second Coming was at hand and that surely “the end was nigh.” Needless to say, they rushed to the churches to repent. Many clergymen noticed that their pews were full and one reverend even retorted to a question posed to him about the gloom’s origin that he “was in the dark about the matter just as you are”. Some writers claimed that there was a “sulfurous odor” in the air. 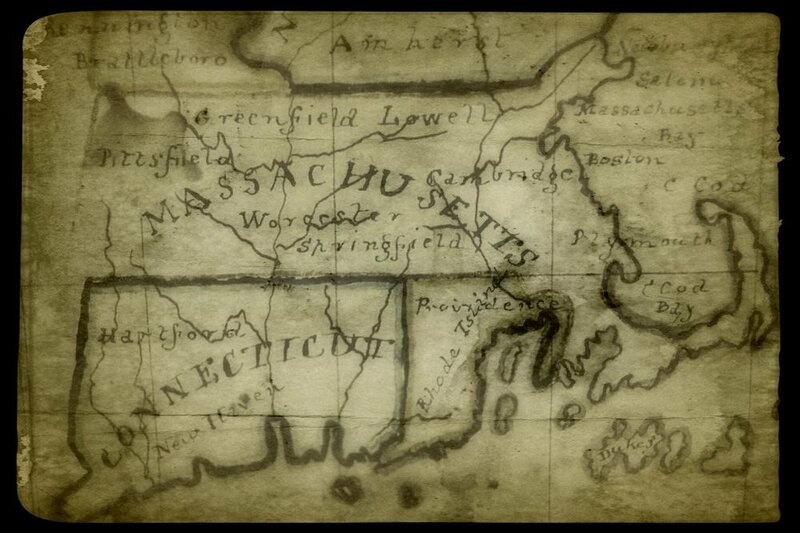 Many other accounts poured in from all over New England indicated a whiff of burnt leaves and smoke. Many birds were found dead on the ground, having blindly flown into structures or possibly asphyxiated by a thick smoke pall. By the next morning, things got back to normal and the sun returned as its effervescent self and occupied its right place in the sky. New England’s “Dark Day” was over. It came and it went, but what caused it? After all this time, it remains a mystery, but we know that it was not a lunar or solar eclipse. For one, a lunar eclipse during the day does not bring darkness to earth. There was an annual solar eclipse on May 4, 1780, but the only place that it make things go completely dark was southwest of Africa in the extreme southern Atlantic Ocean – a long way from New England. And it only last for about a minute and a half. Besides that, American colonists were familiar with solar eclipses. They’d seen them on August 5, 1776, on January 9, 1777 and June 24, 1778 and no one thought the world was coming to an end. The last one had even been predicted by Benjamin Franklin in “Poor Richard’s Almanac.” It should also be noted that – a few months after the “Dark Day” on October 27, 1780 – a scientific expedition of four professors and six students funded by Harvard College foundered in the woods of Maine near Penobscot Bay as they had hoped to glimpse a total solar eclipse. Unfortunately, they missed it. Reverend Professor Williams had miscalculated the path of the eclipse and lead the group to the wrong area. This was subsequently dubbed as the “Lost Eclipse” of 1780. The point is that the colonists, in addition to the scientists of the day, were aware of and could easily identify a solar eclipse. Could it have been caused by a dust storm? Unlikely. In those days, there were no dust storms of a magnitude to cause the day to turn completely dark. In the past century, the worst of all American dust storms was a series of destructive storms that took place during the infamous “Dust Bowl” that scoured the Great Plains in the 1930s. Drought and the accompanying erosion compounded the Great Depression with famine as farms that lost their topsoil stopped producing crops and forced a migration westward by families who had lost their homes and wandered into California looking for work. More major dust storms struck South Dakota and rained dirt on Chicago, Buffalo, Boston, New York and Washington, D.C. The winter of 1934 and 1935 even yielded a red snow in New England. The king of dust storms during the Dust Bowl was definitely, “Black Sunday”, taking place on April 14th, 1935. It was one of a few dozen “Black Blizzards” that took place in the American heartland during the 1930s. Residents east of the blow could not see more than five feet ahead of themselves. But no such storms occurred in 1780. There is no record of them from trappers, explorers or Native Americans west of New England at the time. Others have suggested a volcanic eruption, but this is also unlikely. One of the most destructive volcanic eruptions in terms of voluminous ash emitted over a very short time period, happened, oddly, only 3 years after the “Dark Day” and lasted for a period of eight months. On June 8th, 1783, in Laki, Iceland, a volcano began spewing ash, mixed with noxious sulfur dioxide. The resulting devastation that killed plant life and livestock was compounded by dark, low-lying clouds. This “Laki Haze” caused many deaths across Western Europe and altered the earth’s climate over the next few years. Great Britain suffered through the “Sand Summer of 1783” after the poisonous cloud drifted across Scandinavia, Prussia and France. This volcanic “dry fog” kept ships at port as they were unable to navigate, choked many residents to death, severely inhibited crop growth and inferred a “blood red” sun and sky. During the years immediately following the Laki spew, the weather fluctuated wildly. Extreme weather birthed incredible hail fusillades, severe winters and ironically, sweltering heat. As was the case during the “Dark Day,” this deadly haze and bizarre meteorology was attributed to “Divine Retribution” upon a sinful population and sparked cries of “the end is nigh”. The only American volcanic eruptions that took place near the year 1780 were in the late eighteenth century at Mt. St. Helens and at the lava dome of Mt. Hood. Again, Native Americans and pioneers have not come forward with any records or accounts that would indicate a blanketing ash plume that blew eastward from the Cascades or the Rockies toward New England. The most convincing cause for the “Dark Day” is a forest fire. In Sidney Perley’s Historic Storms of New England, he notes that early in May of 1780, there were major forest fires along the shores of Lake Champlain, most likely triggered intentionally, only to rage out of control by accident. New settlements were being made in northern New Hampshire and deforestation was usually carried out by axe blade – and fire. During this period, New England was predominantly covered with forests. Fields for farming were the creations of the settlers and for all intents and purposes not native to the New England landscape. The land clearing method was basic. These trees were deliberately cut halfway through at breast high in late autumn and during the winter, brisk winds would topple many of the half-cut trees. To take down the remaining trees, woodsmen would cut a tree down on the perimeter of the lot and allow it to topple against another to create a “domino effect” with the momentum of one falling timber continuing onto the next falling tree until a whole lot would be piled high (in some cases over 20 feet deep). When the snow melted and the lumber dried, it was then torched in late April or early May. The lost was cleared the ash was used as a fertilizer for crops. In the spring of 1780, it’s believed some of these fires burned out of control. Where were the fires that blanketed New England in smoke and darkness coming from? In Weare, New Hampshire, a six-inch deep soot was reported on the ground, indicating that it was close to the source. In Boston, on the afternoon of May 18, the day prior to the “Dark Day,” a breeze sprang up and blew a gathering smoke to the south. The following day, the wind changed direction several times before blowing from the east in an onshore breeze that caused a heavy fog. That fog then collided with a front composed of the “timber smog” and rain clouds swept up from the southwest. Could this have been a rare occlusion of a major warm front that was woven with thick smoke moving from the southwest, and then saturated and stalled by cooler moist salt air moving from the east? Could it have caused a thick cloud layer to stall over New England for several hours and consequently blot out the sun? On the “Dark Day,” considerable rain fell in Maine as thunderstorms with vivid lightning moved across southern New Hampshire. Only a little rain fell on Massachusetts. This would explain why this meteorological anomaly occurred in New England and only on a single day. As the storm came together, the thick smoke front stalled it out, causing darkness, storms in one location and hardly any rain in another. There is no guarantee that this was the reason for the “Dark Day,” but one thing we do know is that in all of American history, it never happened again.